From the first Viking raids right up to the middle of the 17th century Gairloch was nothing but a big battlefield. First the Norsemen against then Scots, then the Mackenzies, the McLeod, and the MacDonalds among each other, fighting for power and ownership, retaliating attacks, avenging murders, killing rivals. Many died a brutal death here. The very first church in Gairloch goes as far back as Maelrubha, the late 7th or early 8th century. It stood roughly in the middle of what is the churchyard today. No traces are left. 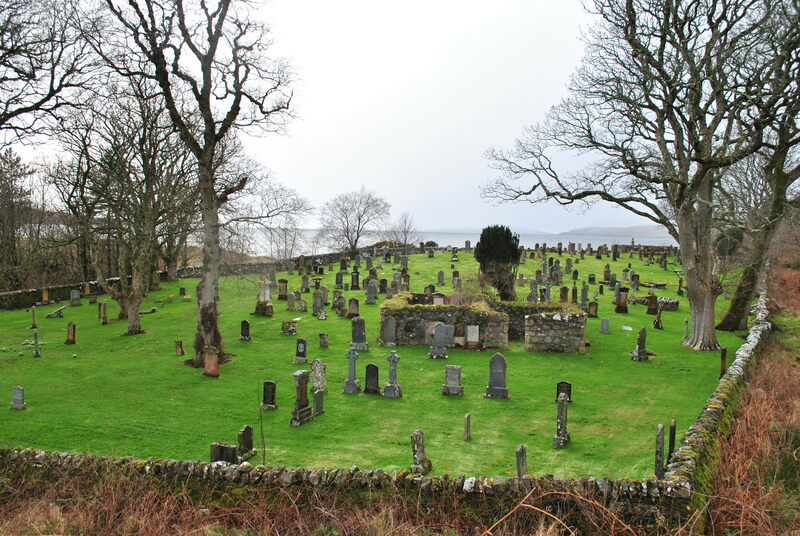 The Mackenzies buried their chiefs in Gairloch since the 16th century, the baronets were interred in Beauly priory. One of the first to be buried in the small chapel in the graveyard was probably the great warrior chief Hector Roy, who died in 1528. 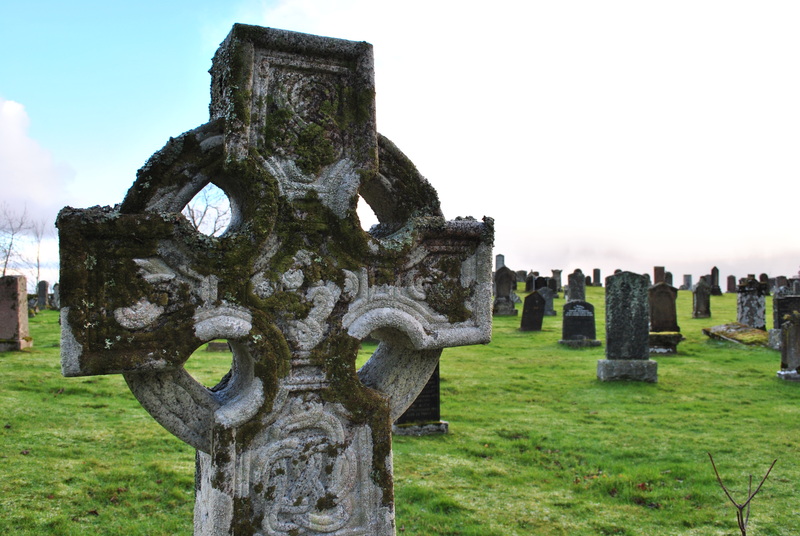 There is still some doubt surrounding his interment in Gairloch but not as far as his grandson John Roy is concerned who was definitely buried here a hundred years later. Hector Roy Mackenzie was the first laird of Gairloch, a legend not only within his clan but a man whose fame would survive the centuries. His ghost was seen by an old man from Gairloch centuries later: Hector Roy, larger than life, still accompanied by his 12 bodyguards and clad in the Mackenzie Tartan. 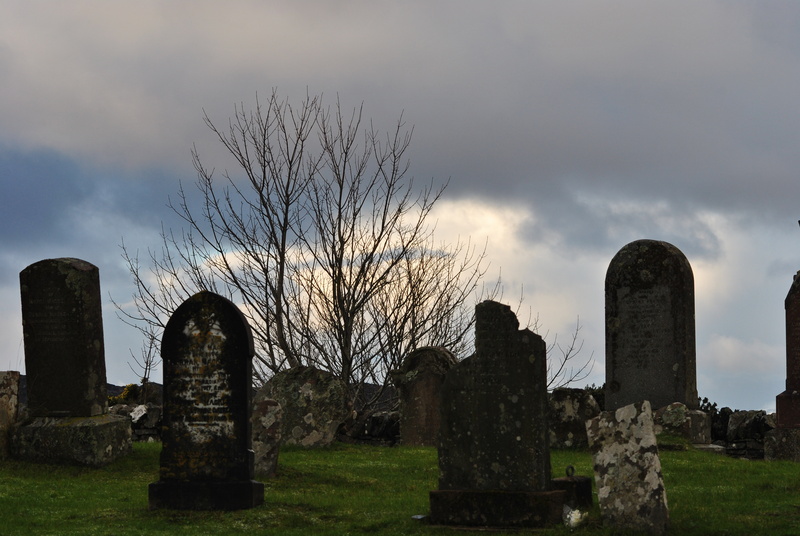 The ghost of inquired about the family in Gairloch and left after hearing all was well within the clan. Hector Roy remained a Mackenzie hero for centuries. He was tall, had dark red hair, a strong, powerful man, a picture book Highlander, very much like the ultimate screen version of a Highlander, Jamie Fraser from the “Outlander” series. What made him so memorable were his recklessness and his passion for the clan. 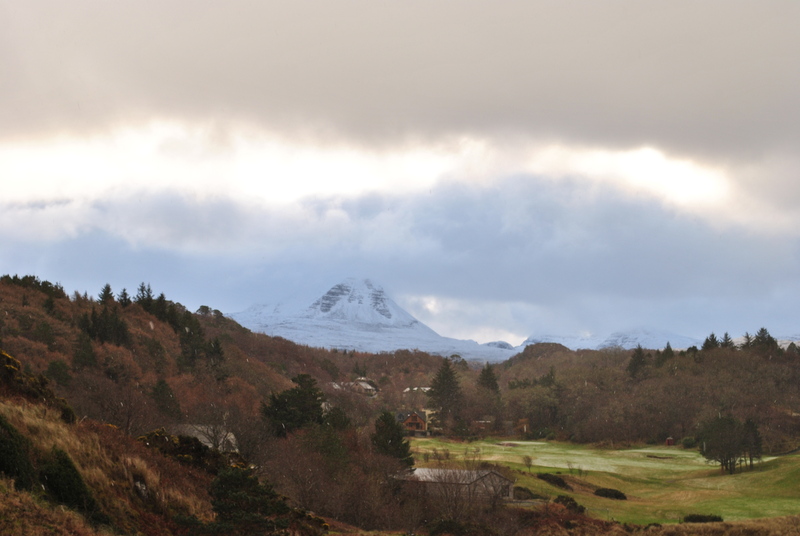 In his early days the McLeods and the Mackenzies both held land in Gairloch and they were fighting over it. The McLeods then killed three members of his family, two were only young boys. Hector Roy took the bloody shirts to Edinburgh as evidence. 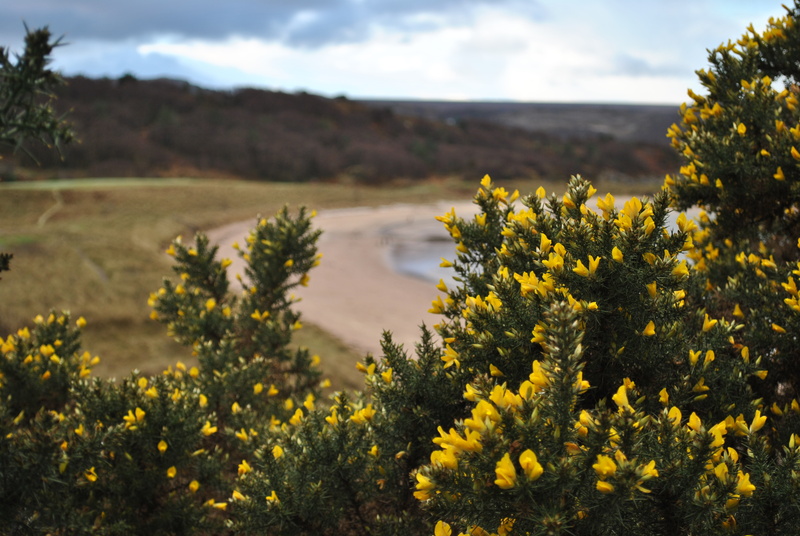 The crown accepted them as evidence and gave Hector Roy the right to avenge the dead (by fire and sword) and take the McLeod’s lands in Gairloch. He did. One day three assassins tried to kill Hector Roy; they attacked him when he was out alone, but he killed all three with his dirk, one after the other. The place is still known as “the Gairloch”. The warior chief fought many clan battles during his long life. By 1499 he was outlawed, a reward was put on his head, his enemies were looking for him. Hector Roy retreated to the hills and took 12 men as bodyguard with him until he eventually went to Edinburgh to seek pardon from the king which was granted. King James IV was mightily impressed with the wild warrior from Gairloch and summoned him later to fight against the English at Flodden which Hector Roy did, many of the Gairloch men died on that disastrous battlefield. Hector Roy died a hero and a legend. He had acquired masses of land in Kintail and Gairloch and fathered ta line that became Clan Eachainn. Eachainn being the equivalent though not the translation of Hector. The chieftainship had not been his by birthright, his nephew could claim the right to that Hector Roy was chief because he had a right to parts of Kintail by birth. The warrior did not meet much resistance, the clan followed him, he was their chosen chief, and his nephew did not resist. Not Hector Roy, the warrior chief of the Mackenzies.